I have been doing Insanity for two weeks and I am so loving the result I've been feeling. I am sticking to the program schedule as much as I can with a few twist added as a backup. 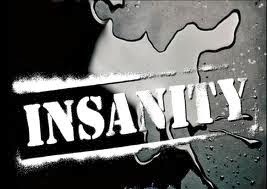 So far I have been mixing Focus T25 with my Insanity program just for fun and just in case I didn't have time to do Insanity at night. The thing that I love about Pure cardio is that there's no repeating moves. I am begining to feel like my old self again. The athlete in me is coming out and I am loving it. I can't stress this enough the important of drinking a lot of water. Drink a lot of water to keep you hydrate through out these workout. Do not compete with other people. Only compete with yourself. Know your limits and push yourself when you are ready. I am still in the process of making this program work for me. Nutrition wise I am still not taking any suppliment or protein shake. I just want to see how well the program works by itself with my normal diet.